Nutfield Genealogy: Blog Caroling ~ Longfellow's "I Heard the Bells on Christmas Day"
Blog Caroling ~ Longfellow's "I Heard the Bells on Christmas Day"
My Dad's favorite carol was "I Heard the Bells on Christmas Day". I don't know if he knew the story behind this carol, but I tend to think that perhaps he did. My Dad was a history buff, and he liked to recite lots of poems by Longfellow. He and his brother, my Uncle Bob, could recite the entire "Wreck of the Hesperus" from memory. Dad knew most of "The Midnight Ride of Paul Revere" as well as the parody version about William Dawes. 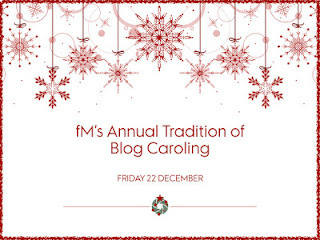 This carol featured today was originally a poem written by Longfellow in 1863 in the middle of the Civil War. The Civil War was a horrific time for all Americans, but especially for Henry Wadsworth Longfellow. In 1861 his wife was burned to death when her dress caught fire. In 1863 his son was wounded in battle. The entire poem includes several references to the war that are not included in the carol version put to music in 1872. I'll include all the verses below. In the poem, a man (Longfellow himself?) hears the bells peal on Christmas Day, but he doubts there will ever be peace on earth because "hate is strong". The bells call back the hopeful message that "The Wrong shall fail, The Right prevail, With Peace on Earth, Good Will to men." I went to college in Cambridge, Massachusetts just a few blocks from Longfellow's house. There are several churches near here, just across from Harvard Yard which also has chapels with bells. I remember hearing the bells and thinking of this poem. Recently I went back to Cambridge to photograph some of these churches for my usual "Weathervane Wednesday" blog posts, but I'll include some of the photos for this blog post, too. Heather Wilkinson Rojo, "Blog Caroling ~ Longfellow's "I Heard the Bells on Christmas Day", Nutfield Genealogy, posted December 21, 2017, ( https://nutfieldgenealogy.blogspot.com/2017/12/blog-caroling-longfellows-i-heard-bells.html: accessed [access date]). I enjoyed reading the story behind your selection. If I ever knew the song was related to the Civil War, I had long forgotten, but I see the connection clearly in the words. As usual, the original version of something is the best version. Thank you for sharing all the verses of Longfellow's beautiful poem. My dad loved poetry too, especially Robert Frost. I wish you all the best this holiday season. We heard this in church this morning and I remembered how much I love it. When I hear or sing the carol I forget about the omitted verses and their strong references to the Civil War. It is a heart-breaking poem is one stops before the last stanza. Thank goodness for that one! Merry Christmas to you, Heather.